It occurs to me that a common thread in all of these choices (other than Griffith's "Magic of the Swatchways") is that each is part of a larger canon and often, but not always, featuring the same characters. Not sure what that says about me mind you. And indeed some of these were largely chosen because of their position in the canon (Knots & Crosses) or when I bought them (Wyrd Sisters) rather than because they were really my favourite books by the author. But that got me thinking. Now the thing is that I have every book I own in database. This isn't just for sad nerdy purposes its also because I'm crap at remembering which books I actually own1, especially where it's authors like Wodehouse, so it's useful when at a bookshop to be able to check via my phone if I already own it. Anyway one consequence of this is that I can very easily find out who my favourite authors are based on number of books owned. So here on the right is my top 30 excluding those with no author and also Ordnance Survey who are in there because I've also got all my maps in the same database. Of the top few unsurprisingly PG Wodehouse came out first on the list. 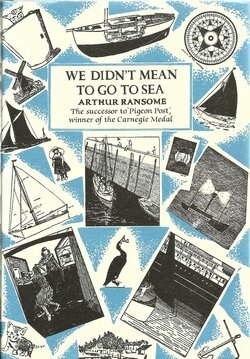 My first book of his was Joy in the Morning but since then I've been gobbling them up, especially if I can find them in the edition that Penguin did with covers by Ionicus (of which there are 58 apparently, although I've currently only got about 40). The great Terry Pratchett came second. I discovered him when Wyrd Sisters, his sixth book, made the mainstream with a review in The Guardian. So I bought it, gobbled it up, and went back to the bookshop a couple of days later to buy the first five! I think his later books were less good if I'm truthful, which is why there's holes in my collection, but I love the earlier works, especially anything with Vimes in it. I'm a huge fan of Ian Rankin's Rebus novels, perhaps in part because they're set in Edinburgh - my favourite city - so I know a lot of the places in the books, and indeed Rebus' first police station is at the end of the road where my friend Caroline lives so I walk past multiple times every time I'm visiting. Isaac Asimov's rank reflects my obsession with SciFi as a teenager and Gary Trudeau my love of cartoon strips. Sue Grafton's rank is partially down her Kinsey Millhone novels being a set, from "A" Is for Alibi onwards. EF Benson is further down than one might expect but this is largely because his six Mapp and Lucia novels are significantly better than any of his other works and, in truth, the other eleven that I own are largely just me being completist. My Desmond Bagley thrillers are, like Asimov, from an earlier time, although I still re-read the odd one as they are all cracking yarns. 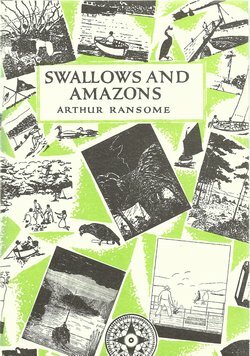 As for Arthur Ransome I think I've got everything he ever published (and that's not just all his Swallows and Amazons novels, although it largely is). A total of 1015 currently I see. That's down from the peak as I gave or threw away a lot of books when we moved house - my teenage SciFi collection in particular took something of a beating.